Star UFC MMA fighter Ray Borg knows the importance of having good people in your corner, and when his son was born with a serious medical condition, he knew he could count on them to help. Selling T-shirts seemed like a great way to defray medical expenses—if he could find a simple method for ordering, fulfillment and collection so friends and social media followers could show their support. The online fundraising store set up by Scott Creagan and Graphic Connection in Albuquerque, NM, filled the bill, providing area resident Borg with the backup he needed and generating $8,000 in only six-plus weeks. Borg and Creagan credit the ease of the process, from purchasing to printing to payment, provided by the InkSoft-powered web store, with enabling sales to far exceed expectations. 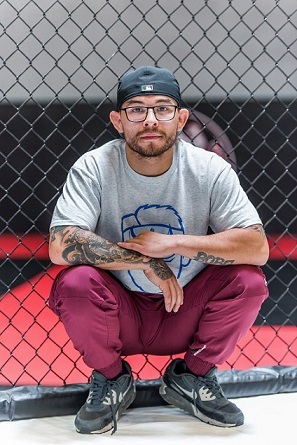 Learn more about how Graphic Connection and InkSoft technology helped Borg tap into his social media support base at https://www.inksoft.com/mma-fighter-...or-fundraiser/. For more information, contact InkSoft at (800) 410-3048; email: [email protected] or visit the website at www.inksoft.com. This is a discussion about MMA Fighter Chooses InkSoft Stores For Son’s Fundraiser that was posted in the T-Shirt Industry News section of the forums.